A tua pele é o teu lar, doce lar. Imagina a tua casa depois de um jantar de sexta-feira à noite com amigos. Pareceu-te boa ideia convidar toda a gente para pôr os sapatos em cima da carpete branca para abrir as portas ao fim de semana em grande, mas sábado de manhã apercebes-te que foi a pior ideia de sempre! A minha pele já viveu muitas noites de copos, e já cantou de pulmões abertos “forever youuuuung, forever youuuung” debaixo de sol. But guess what? O espírito até pode ser “forever young”, mas as nossas rugas e manchas da pele não escondem as aventuras. Aos 20 anos apareceram-me as primeiras sardas, cada uma com uma história vivida algures num rooftop na Califórnia. Ao início quase que lhes fiz uma festa de boas vindas, mas eventualmente apareceram outras manchas que não mereceram comemoração. – 88‰ das mulheres ficaram satisfeitas com o sérum. Entretanto, dessas 50 pessoas a Caudalie irá escolher 10 para atender a um evento organizado por mim em parceria com a marca, onde poderemos trocar impressões sobre os produtos Vinoperfet e dançar como a Byeoncé (grávida). Este post foi patrocinado pela Caudalie. 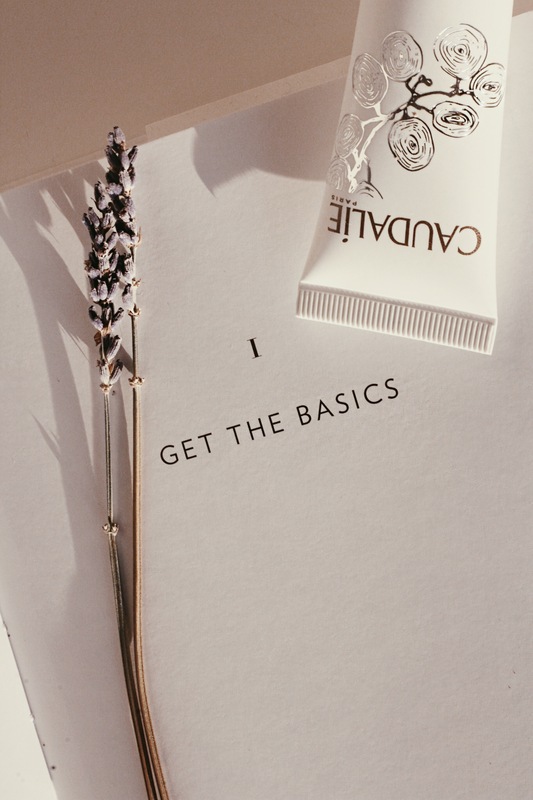 Your skin is your home sweet home. Imagine your place after a Friday night dinner with friends. You thought it would be a very good idea to have a couple of friends over for dinner to walk over your white carpet but saturday morning you just realize that was the worst idea ever! My skin has went through many nights like that. And I kept on singing that forever young song under the sun. But guess what? The spirit might be forever young, but your wrinkles and skin blemishes won’t hide the adventures. At the age of twenty, I start noticing my first freckles, each one with a story lived somewhere on a rooftop in California. At first I almost throw them a welcome party, but eventually I start getting these skin blemishes that didn’t deserve to be celebrated. I’ve decided to start taking care of my skin. And today here I am to share with you my new beauty routine. I started it a week ago, so as far as I’m concerned I can only talk about the immediate results. My skin is visibly brighter, so luminous that I jump out of bed singing “I woke up like this” thinking I am Beyoncé! (Side effects). 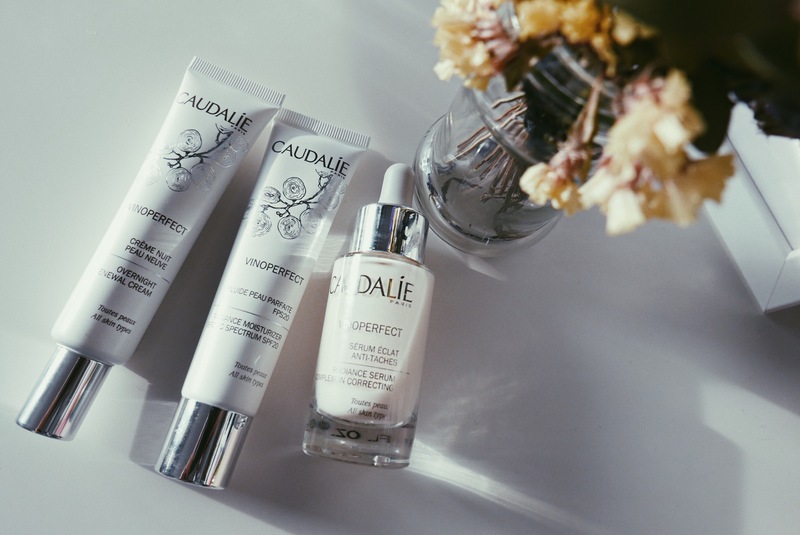 – 88 ‰ of the women liked the serum. Try it yourself and you’ll dance like (pregnant) Beyoncé every morning. 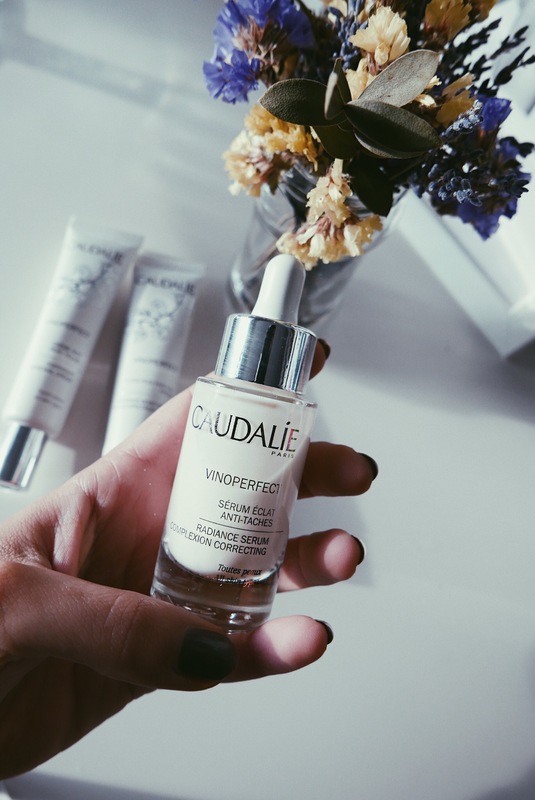 Click here to know more about Vinoperfect from Caudalie. 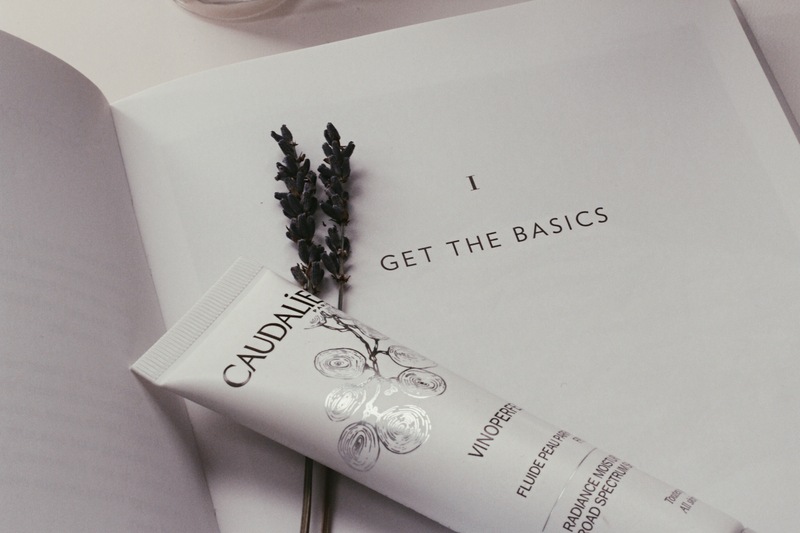 This post was sponsored by Caudalie. Bem, quer neste post quer no da Tous, aquilo que gostei mais foram as camisolas 🙂 Podes partilhar pf de onde são? Desculpa, mas chamam a atenção por razões distintas. Bonitas fotografias neste post.